New research demonstrates a strong positive benefit to native trees following invasive species removal. Palmyra’s tropical rainforest also provides important habitat for a native gecko, insects, crabs and other rare species. Pisonia grandis forests are reported to be in decline globally. In an age of well-founded concern about the environment, Palmyra Atoll’s response to the eradication of introduced rats reminds us of the resilience of intact ecosystems and gives us hope for a better tomorrow,” Wegmann said. The 2016 monitoring team of five was led by biologist Coral Wolf, who was five months pregnant at the time. Fieldwork consisted of trudging through waist-high water and high-kicking through dense tropical rainforest. The team stayed well-hydrated by harvesting coconut water as needed. Forty-one percent of the world’s most highly threatened vertebrates are found on islands, with invasive species introduced to islands being a leading cause of extinction. Removing invasive species from islands is an effective and proven way to save our world’s most vulnerable species. To date, there have been more than 500 successful projects to remove invasive rodents from islands. The pace, scale, and complexity of these efforts are increasing in recognition of the threat invasive species pose to biodiversity. Palmyra Atoll, approximately 1,000 miles south of Honolulu, Hawai‘i, is a National Wildlife Refuge managed by the U.S. Fish and Wildlife Service and a scientific research station managed by The Nature Conservancy. The area includes 25 islets covering 580 acres of land, and thousands of acres of healthy coral reefs. In 2009, the refuge and waters surrounding it were included in the Pacific Remote Islands Marine National Monument. Palmyra supports ten nesting seabird species, including one of the largest Red-footed Booby colonies in the world, and the largest Black Noddy colony in the Central Pacific. Many nationally and internationally threatened, endangered, and depleted species depend on Palmyra Atoll, including sea turtles, pearl oysters, giant clams, reef sharks, coconut crabs, a large diversity of fish (at least 418 species), and marine mammals. Non-native black rats were likely introduced to the atoll during World War II, and the population grew to as many 30,000 rats. The invasive rodents ate eggs and chicks of ground and tree-nesting birds, particularly sooty and white terns. Rats also ate land crabs and the seeds and seedlings of native tree species. In June 2011, the U.S. Fish and Wildlife Service, The Nature Conservancy, and Island Conservation removed destructive, non-native rats from Palmyra Atoll. The Palmyra rat removal project was the result of more than seven years of planning and was the first step in a longer-term effort to restore the atoll’s ecological balance. The partners confirmed the island free of invasive rats in 2013 and, thanks to strict biosecurity rules, it remains rat-free today. Although Palmyra Atoll appears to be relatively unscathed, plantation-era coconuts have become invasive and an ongoing restoration project to remove invasive species is underway. The U.S. 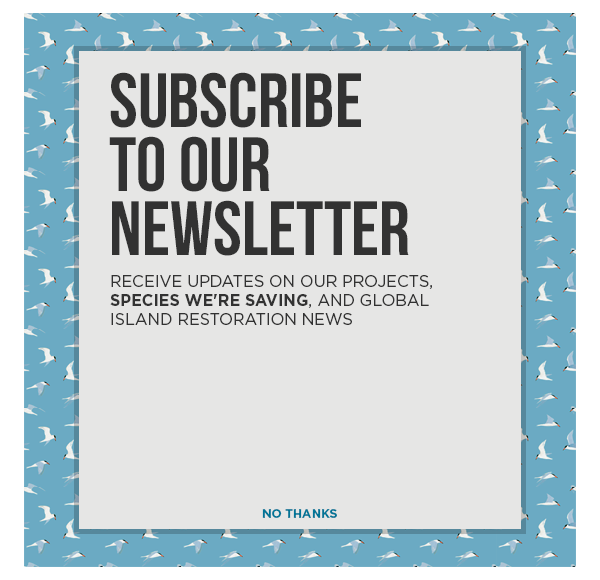 Fish and Wildlife Service, The Nature Conservancy, Island Conservation and other partners are collaborating on this multistage project to restore the natural ecosystem, with each action building on the next. The first phase focused on the removal of black rats. Restoring the native forest community, including reducing and controlling invasive coconut palms, is an important next step. Future plans also include considering the translocation of two endangered, insular bird species that are at risk in their current ranges and active restoration of Palmyra’s extirpated seabird colonies.